A Urology cancer administrator from the University Hospital of Wales, who gives up his own time to lead a running club and train his colleagues has been crowned the latest Health Hero. Spiro Pezaros, 38 from Risca is a Urology cancer administrator at the University Hospital of Wales, is the first point of contact when patients are referred into the service for diagnosis of possible Urology cancer. Spiro checks referrals that come in from GP surgeries to the Urology department and distributes them out to the Urology Consultants. He prioritises any referrals that are cancer-indicated and books the patient an appointment for them to be seen within ten days and also books the patient into all relevant treatment pathways. He has worked for the Health Board for 17 years. Spiro, who is originally from Corfu in Greece, became involved in athletics when he was 15 years old when he joined his local athletics club. Spiro leads the Heath Massive Run Club (#HeathMassiveRunClub), which started 4 years ago. 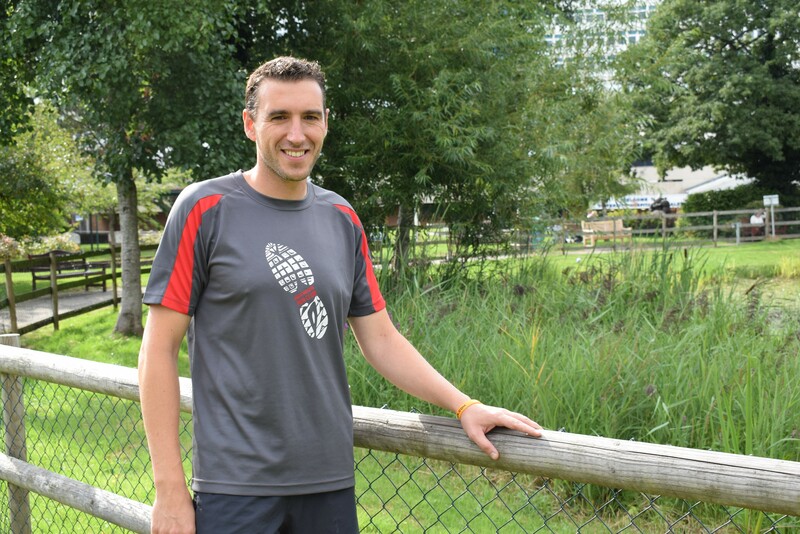 Spiro said: “I’d been going along to British Military Fitness (BMF) classes at Heath Park, Cardiff for years but they didn’t do long distance running and a lot of the members wanted to start to longer runs. “I suggested to some of the members that if they wanted to go for a run I’d lead a run. Over the past four years I’ve got around 30 members which come along to the club, I love encouraging them to push themselves to train from couch to 5k or half marathon distance. “In January 2018, I was approached by Cardiff & Vale Health Charity, asking whether I wanted to take on any runners to prepare them for the Cardiff Half Marathon, which I gladly accepted. “People gradually started to come along to these runs, where we would run from lamppost to lamppost to build up stamina and as the months progressed and the weather got better, more people came along. We have a fantastic group called #teamhealthcharity where staff from the hospital and members of the public are all running together to raise money for Cardiff & Vale Health Charity. Spiro has previously completed the Welsh Three Peaks, raising an amazing £10,000 to buy a bladder scanner for the Urology department. Michelle Noble, Medical Technical Officer at the University Hospital of Wales said: “Spiro is a great motivator and keeps me going when my head and legs are saying no more! “He is always positive and provides structure to those of us who would otherwise struggle to run after work. “He makes the session’s fun and takes us on a new route every week and more importantly provides feedback and encouragement via our Facebook group. Run club is every Tuesday at 5:30pm and Sunday at 8am from the Heath Park car park, the group runs Couch to 5k and longer runs for those who love running with a group. If you’d like to nominate a member of staff from Cardiff and Vale University Health Board to be next month’s Health Hero, please email news@wales.nhs.uk with your story.